"I worked for other companies, including H&R Block, before I joined TCOA. I made more money this year working for myself in 3 months as a TCOA franchisee than I did working all year for other companies. It's a great low investment opportunity!" 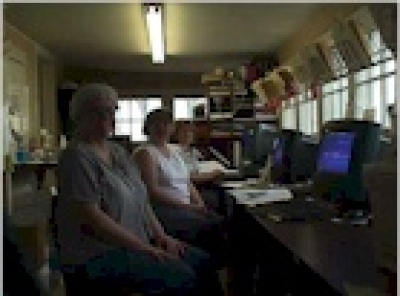 "We incorporated TCOA into our insurance business and have had great results. We were able to take many of our present clients and file their taxes for them. TCOA advertising brought the tax clients to our insurance office. The two businesses compliment each other - insurance and taxes." "We started in the electronic tax filing to complement our other businesses in 1992. We never dream it would become our primary source of income. As our business grew, so did our knowledge of the business. We developed a program that keeps electronic tax filing simple, easy, and enjoyable, plus very profitable. Our goal is to give our franchisee a great opportunity at a low investment cost. So, join our team today, have fun and grow with us!
" It's getting harder and harder to make it in the insurance industry as a stand-alone market. In 1999 we joined the TCOA family, and the two businesses compliment each other very well. The first tax season we sent letters to our existing customers and we ended the season filing about 170 returns and about doubling the second year, we also picked up several new insurance clients. 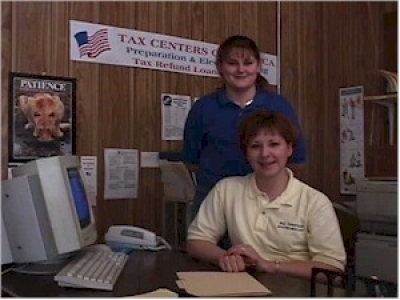 If you are interested in expanding your insurance business and making money you should try Tax Centers of America." "We bought our Tax Centers Franchise in hopes of generating business for the new branch of our insurance and real estate agency. Our objective was to offer additional services to the public - anything to get someone through our door that first time. With Tax Centers, we created a solid customer base for our insurance and real estate business, and generated revenue of approximately three times our initial investment in our first tax season. Tax Centers gave us the extra "umph" we needed to be a presence in a new market, and the capital to keep afloat during that critical first year of business."